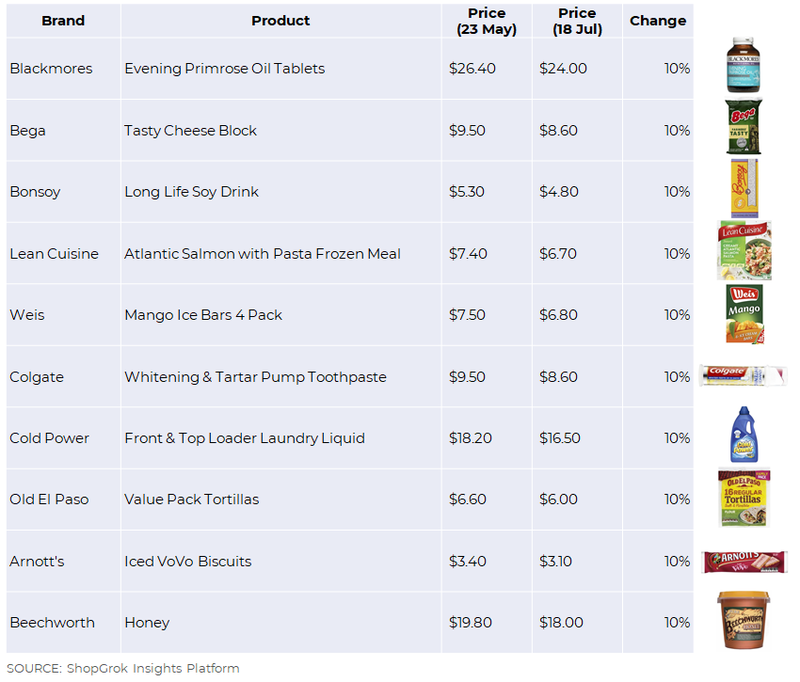 It’s been an open secret for several years that Coles have been adding a margin of 7-10% to online prices as compared to their store prices. 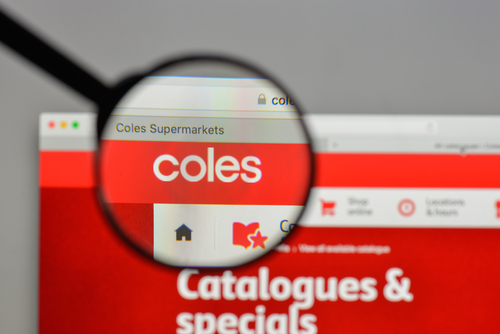 This changed as at the beginning of July, with prices on over 9,000 products dropping in the Coles online store to match their physical store prices. 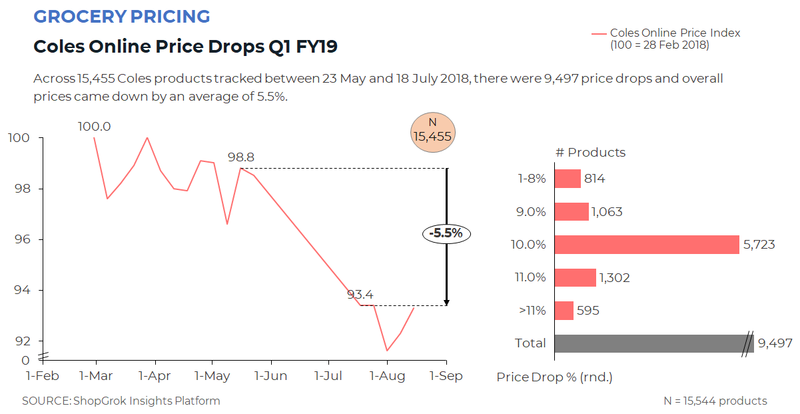 Analysis from the ShopGrok Insights platform shows that across 15,455 Coles products tracked between 23 May and 18 July 2018, there were 9,497 price drops and overall prices came down by an average of 5.5%. Not surprisingly, Coles did not make a public announcement despite the large volume of price drops, as this likely would have drawn attention to the past practice of adding an online margin. The move comes as competition intensifies in the Australian grocery sector, particularly in the online channel, as more consumers shift their grocery buying to either delivery or click-and-collect. There are also signs that Amazon is making inroads in the grocery space, with several thousand grocery items already available online at very sharp price points (the subject of an upcoming blog post). Want to know more? Contact us at hello@shop-grok.com to organise a free 14 day trial.